Kimi Räikkönnen has always walked his own way, and it today was no exception. At the end of the race Grosjean (who will stay in the team next year while Kimi is moving to Ferrari) closed the gap on Kimi and wanted to pass. This was the radio traffic between the team and Kimi at that moment. Like poetry – One of the coolest f1-tracks ever? For me Formula1 is poetry. F1 is intense, every millimeter counts, the heat, the sound, the tension… and all of a sudden everything can be lost. I’m not the kind of person who generally speaks about the good old days, in fact I believe that we’re living in the best days in history, just right now. But when I see videos like this, I can’t help feeling a little jealous about things back then, when everyone wasn’t so afraid of everything, and people lived for the moment, not fighting to live the longest. That was a little poetic for a short clip of f1, don’t you think? But the fact still stands, isn’t this one of the coolest F1-tracks ever? Last weekends race was one of the best I’ve ever seen. Vettel’s impressive drive, Raikkonens impressive win for Lotus, Hamilton flying in the front before retiring, Rosberg flying over Karthikeyan, Kimi snapping off his second race engineer, Grosjean driving rally (as always) and so on, and so on. So I guess there are many out there that are as excited as me moving on to the next race, Austin Texas. The first time there. I watched a few videos about the track and it feels like it can get exciting. High speed straights and really technical corners. Can be a lot of fun! About the electric open-wheelers, they must be approved by the FIA to participate in the championship, therefore, Formula E will be open to other teams but the Formulec EF01 is the referent vehicle, 10 teams and 20 drivers will compete for the championship in the world’s major cities. I nearly never misses an F1-race unless I’m not completely out of possibilities so last weekend was no exception from that, when F1 visited India. The race itself was good (as always), but not one of the best I’ve seen. Even though the race in itself was average one sequence was really amazing. In my work we’re helping other companies to be more efficient and to make them achieve good processes, and I think this is as good as it gets when it comes to that. During the beginning of the race Lewis Hamilton complained about not being able to hear the pit so good. If that was the reason for what was about to happen during the first pit-stop, I don’t know, but I think these 3.3 seconds really shows what this team sport is all about, perfection! As some of the readers of this blog already know; I’m a big fan of Formula 1. I’ve followed it almost my whole life and visited races (only in Europe). The speed, the sound (!!! ), even though they lowered the effects during the last years, the technique and finally the design! If you like photos and beautiful designs, you gotta love F1. 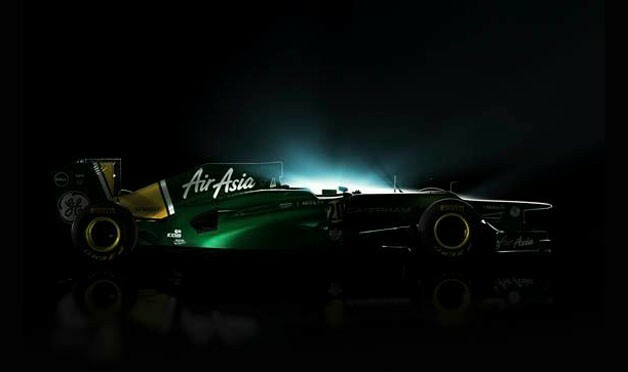 During the last weeks the teams have presented the new cars for the 2012 season. To be honest, these cars are not the most beautiful I’ve seen. There has been some new rules, among those a rule to lower the nose, which has dramatically changed the design of the noses. I’ve put together a list of the cars for the new season. Below every picture you’ll have a link to more pictures for each car. Enjoy, and let’s hope that february goes by quick. Can’t wait for the first races to kick off! If you find any errors or get information of any of the cars to be announced, please let me know! An amazing clip from a truly classic f1-fight!